Last Saturday night, my family had some guests over for dinner. As you probably guessed from the title of this essay, their home country is Ethiopia. After they left, my mom told me that she had learned that since Ethiopia is such a mountainous country, their people are safe from most mosquito induced diseases, which are very common in that particular continent. 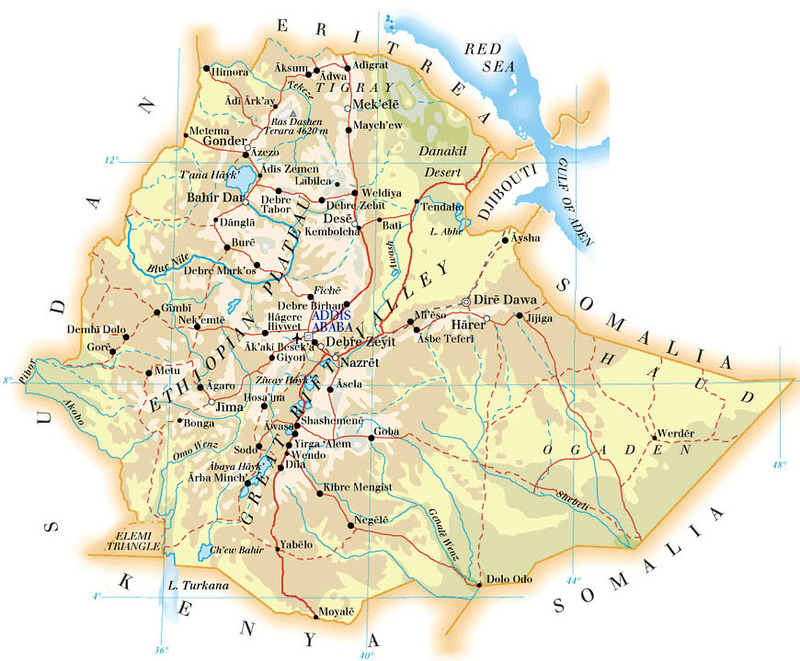 A fact that I found to be very interesting is that eighty-percent of the mountains of Africa are located in Ethiopia. I also think that it's very intriguing that Ethiopia is just barely landlocked by three countries; Eritrea, Djibouti, and Somalia. 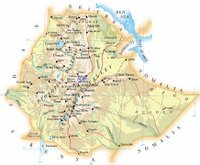 In the past, Ethiopia had a pretty funny name, Abyssinia. In World War II, Ethiopia was controlled by Italy, and the rest of Africa was controlled by the French, Spanish, British, German, and Portuguese. After the war however, the African modern nations started to form. One of these was Ethiopia, now a fully independent country. Today, Ethiopia is a prosperous nation at the top of the Great Rift Valley. Some day that rift will split Africa in half because two of the earth's plates are drifting away from each other and three of the worlds largest lakes lie in that valley . Today, while it is still intact, Ethiopia seems like a really great country to visit. hey geo guy i love ur blog it is sweet! !